The Order of Saint Rupert of Salzburg - Founded in 1701 by Johannes Ernst von Thun, Archbishop of Salzburg, who created this Order to honour Saint Rupert, who had been the first Archbishop of that City, and as a perpetual memorial of the Treaty of Carlowitz in 1699 when Prince Eugene forced the Turks to leave Austro-Hungarian soil after 150 years of occupation. 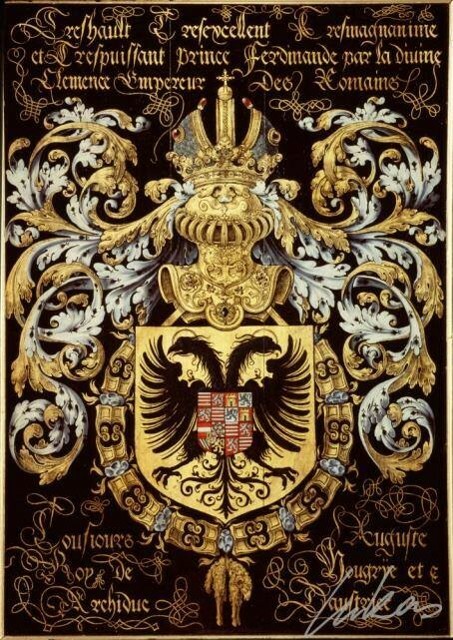 The Holy Roman Emperor Leopold I confirmed the Order which was reserved for the highest nobility of the Holy Roman Empire. Rupert of Salzburg (German: Rupprecht, Latin: Robertus, Rupertus; c. 660 – 710 AD) was the Bishop of Worms, the first Bishop of Salzburg, and the abbot of St. Peter's in Salzburg. He was a contemporary of Childebert III, King of the Franks and is a Saint in the Roman Catholic and an Eastern Orthodox Churches. 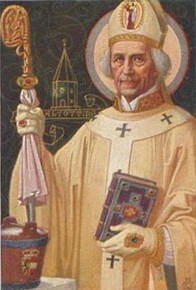 Rupert is also a patron saint of the Austrian state of Salzburg. Holy tradition states that Rupert was a scion of the Frankish royal Merovingian family, related to the Robertian dynasty. Although, Rupert was at first accepted as a wise and devout bishop, the mostly pagan community eventually came to reject him and forced him out of Worms.The Duke Theodo of Bavaria the requested that he come to Bavaria to help spread the Catholic faith. Rupert moved to Altötting where he converted the locals. He sailed down the Danube river, visiting many towns, villages and forts. Soon he had converted a large area along the Danube southward to the border with the Pannonian lands that were ruled by the Avars. Here he stayed at Lorch (the former Roman city of Lauriacum, today part of Enns). Warlike conditions made him abandon plans of missionary work in the Avar territories. Instead he proceeded to the ruined Roman city of Juvavum where he made his base and renamed the city "Salzburg" (Latin: Salisburgum). Rupert was able to build on ancient Early Christian traditions that were already in place. He re-established St. Peter's Abbey and laid the foundations of Salzburg Cathedralfthat wasinished by his successor Vergilius. He founded the Benedictine nunnery of Nonnberg beneath the Festungsberg fortifications, where his niece Saint Erentrude became the first abbess. Rupert also introduced education and other reforms. From the hands of Duke Theodo of Bavaria, he received estates around Piding and Reichenhall, where he promoted the development of the local saltworks. Rupert reportedly died on Easter Sunday around 710. According to other sources, he returned to his hometown of Worms where he died in 717. His remains were transferred to Salzburg Cathedral by 774. 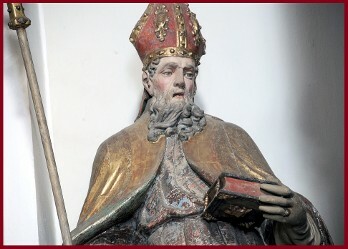 To Honour Saint Rupert of Salzburg - Rupert of Salzburg was the Bishop of Worms, the first Bishop of Salzburg, and the abbot of St. Peter's in Salzburg. He was a contemporary of Childebert III, King of the Franks and is a Saint in the Roman Catholic and an Eastern Orthodox Churches. 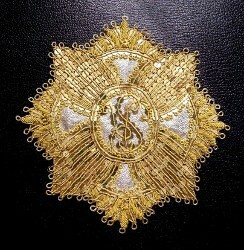 The present status of the Order of Saint Rupert of Salzburg, is that of a Holy Chivalric Order of the Holy Roman Empire, as such all Rights, Patrimony and Property (including the usage of all Armorial Bearings, Signs and Symbols), of the Order of Saint Rupert of Salzburg, come under the exclusive ownership and protection of the Holy Roman Empire Association - ASSOCIAZIONI dei NOBILI del SACRO ROMANO IMPERO. The Present Nominal Grand Master of the Order of Saint Rupert of Salzburg is the Chancellor of the Holy Roman Empire Association. 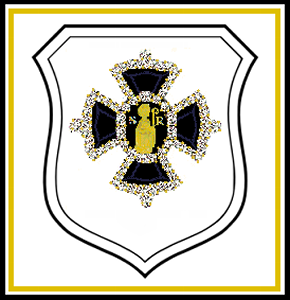 Copyright (C) The Holy Roman Empire Association, hold full International Copyright to the Order of Saint Rupert of Salzburg. Copyright Held 2016 - All Rights Reserved Protected by European, U.S. and International Copyright Laws.